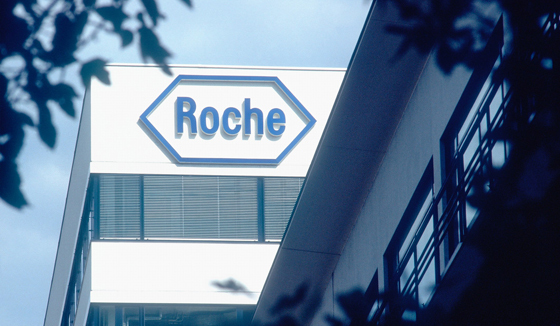 Technology that can take a snapshot of protein expression in tissue samples – already used in drug discovery – could soon be applied to clinical trials, says Roche. The Swiss pharma giant has been working with proteomics specialist Biognosys to on a mock trial to explore how the technology could be used in clinical investigations, and says its result show this type of testing is ready to be applied more widely. The quantification of proteins in biological samples can be used to identify novel biomarkers, for example, and to generate additional information to help explain why a clinical intervention is or is not working in a particular patient. Proteomics was one technology name-checked by outgoing FDA Commissioner Scott Gottlieb in a recent statement admonishing the pharma industry for not adopting innovative approaches to clinical trials. A study presented at the Mass Spectrometry Applications to the Clinical Lab (MSACL) congress in the US last week by Roche and Biognosys scientists looked at how ‘discovery proteomics’ performed in colorectal cancer samples taken from clinical trials. The team, led by Roche scientist Axel Ducret, used a label-free mass spectrometric method on samples provided by Biognosys that quickly generated a ‘fingerprint’ for each sample, based on the spectrum of peptide signatures present. The method is quick as it uses data analysis to compare the signatures against a database of reference spectra, and can be combined with targeted proteomics to zero in on the activity of proteins that are known to be of interest. Almost 9,000 proteins were identified in the study with a high level of accuracy, according to the researchers, who said the results had sufficient statistical power “to detect subtle changes in protein expression that may occur in tumour tissue”. The approach could support the design of more effective and efficient clinical trials, according to Biognosys. “We work with many of the most innovative pharma and biotech companies, who use our discovery proteomics services to advance their early-stage research programs,” commented Claudia Escher, the company’s chief operating officer. “We increasingly see an interest in using our technology further into the clinical trial phase,” she added.